Has anyone had a HT and lived to regret it? Guys, anyone among you had a transplant and wish they had never done it? We only see the positive results here but have no follow up. For all we know it looks good for 3 years and then it looks like hell. Also with the deceptive angles of picture taking going on, its hard to tell. » Guys, anyone among you had a transplant and wish they had never done it? » I’d like to hear from you. » deceptive angles of picture taking going on, its hard to tell. If you do your research properly there is loads who regret it. Look how many repair cases we see on here and other hairloss forums. Yes, you want to do your research. Do not choose your clinic based on price or location nearest to you. A Hairtransplant is not something you want to go cheap on. Choose who you think is the very best clinic after your research. How much did your 6500+ grafts cost Pats? » If you do your research properly there is loads who regret it. » Look how many repair cases we see on here and other hairloss forums. If i did do a transplant it would only be FUE. Are there any pitfalls of doing FUE? » » If you do your research properly there is loads who regret it. » » Look how many repair cases we see on here and other hairloss forums. » If i did do a transplant it would only be FUE. » Are there any pitfalls of doing FUE? Wait a minute. Doesn’t this statement then question contradict each other? » » If i did do a transplant it would only be FUE. » » Are there any pitfalls of doing FUE? » Wait a minute. Doesn’t this statement then question contradict each other? I would never do a strip. It forecloses all options for shaving my head - the last decent option for any balding man. Such a HT result on a young patient - in 2010! » How much did your 6500+ grafts cost Pats? » Would you say it was worth it? Freddie, I would say I paid the amount of a luxuary car. I financed the procedure through a loan company and have 2 payments left! I am roughly 4 years after my procedures and I would say it was well worth it. I was really upset abouyt my hairloss and it affected my happinees level in a big way. These days I am very happy with my hair and I feel great about myeslf. My hair looks better now at age 35 then it did when I was 25. » » How much did your 6500+ grafts cost Pats? » » Would you say it was worth it? » procedure through a loan company and have 2 payments left! » level in a big way. » hair looks better now at age 35 then it did when I was 25.
thanks for the info Pat. So I’m guessing it was about 60 to 75K ! that’s a lot of money but you have just 1 life to live. What i worry about is what if your hair continues to fall out over time? Won’t it look strange having the transplanted hair hanging around while the rest is gone. The progression towards norwood 5/6/7 happens in many balding men. Did you ever try buzzing your head to see how it looked. For the sake of all of us, I hope this miserable disease is cured within our lifetimes. » thanks for the info Pat. So I’m guessing it was about 60 to 75K ! » that’s a lot of money but you have just 1 life to live. » What i worry about is what if your hair continues to fall out over time? » The progression towards norwood 5/6/7 happens in many balding men. » Did you ever try buzzing your head to see how it looked. Freddie, it wasn’t quite that expensive. My first procedure was strip so the price per graft was lower. I did not try shaving my head before having a procedure as I wanted a certain look. 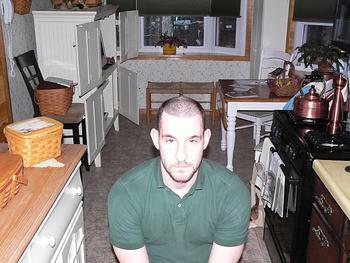 Shaving my head and having the semi bald short buzzed hair cut was not for me! Although, you can see a photo of me 10 days after my procedure with my hair buzzed down… of course the transplanted hairline design is visible. Its a definite improvement over what you had bro. I think you are among the few who had great results. The only part I dont’ like is the fact that its strip. I’d strongly suggest you take propecia (or continue on it if you are taking it). An ounce or prevention is worth a pound of cure. 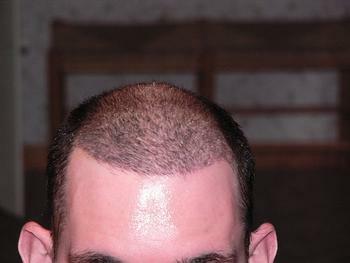 When I am about 37 or so, I will consider having a small FUE procedure. Perhaps about 300 or 400 grafs or so to tide me over. that’s an open ended question but definately not at your age. minimum should be about 35, with FUE only (NOT strip transplant). first procedure should be a small one (< 500 grafs) spread out just to test it out. no aggressive hair lines or you are asking for trouble. 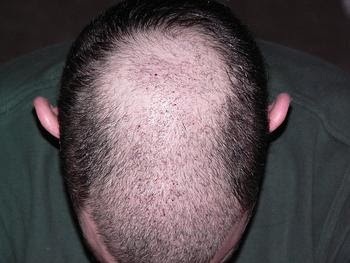 stay on propecia / avodart, rogaine, 2% nizoral till then and after then as well. if you don’t want to take drugs to preserve your hair after a transplant, you may as well forget about a transplant or keeping your existing hair. one more thing, if you are norwood 5/6/7…etc forget about a hair transplant unless you have tons of body hair and an endless supply of money. get in shape, shave it and accept it… until a cure arrives for this sh&tty disease. one last thing I’ll add. speak to people who have gone through multiple hair transplants and hair transplant victims like topcat. He’s been around the block. balance your research and the fantasy HT docs are trying to sell you with a good dose of reality.